Stay in touch with the alluring nature of the Smoky Mountains while never “roughing it” in this charming, amenity-packed, pet-friendly cabin nestled into the mountains. Spend sunny days on the large deck, soaking up some sun before hopping into the indoor pool on the lower level. Enjoy the peaceful white winter scenery from the warmth of the sunroom before enjoying a cabin-made meal at the kitchen bar. With the Great Smoky Mountains National Park just a little over 8 miles away, family and friends will love exploring the beauty of the area or taking a scenic drive along Newfound Gap Road. 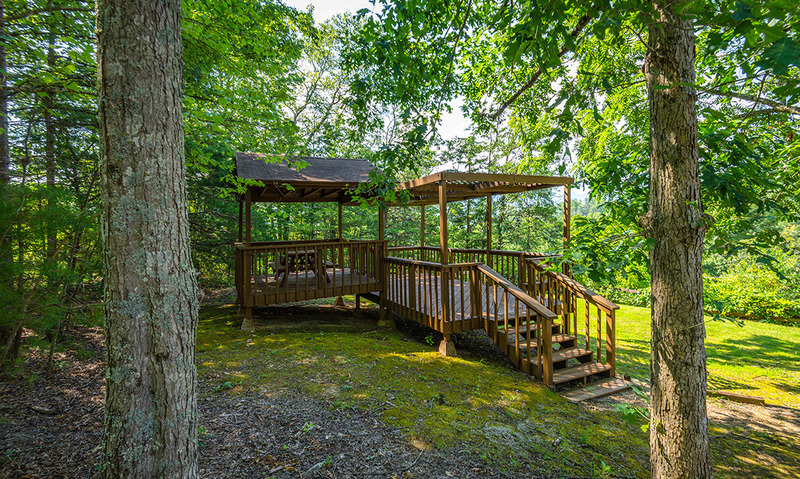 Bring another family to escape to the Smoky Mountains in this homey 3-bedroom, 3-bathroom cabin with sleeping space for up to 12 guests! 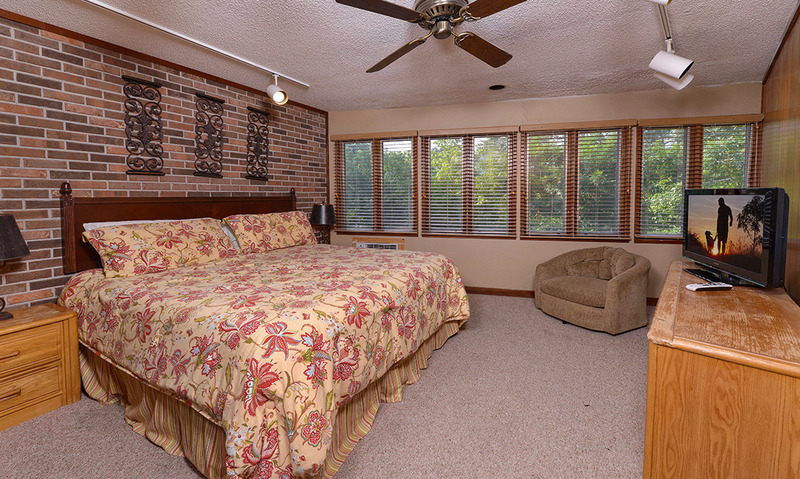 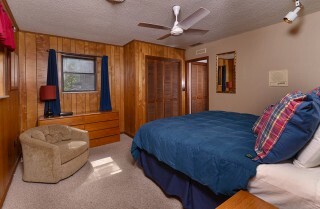 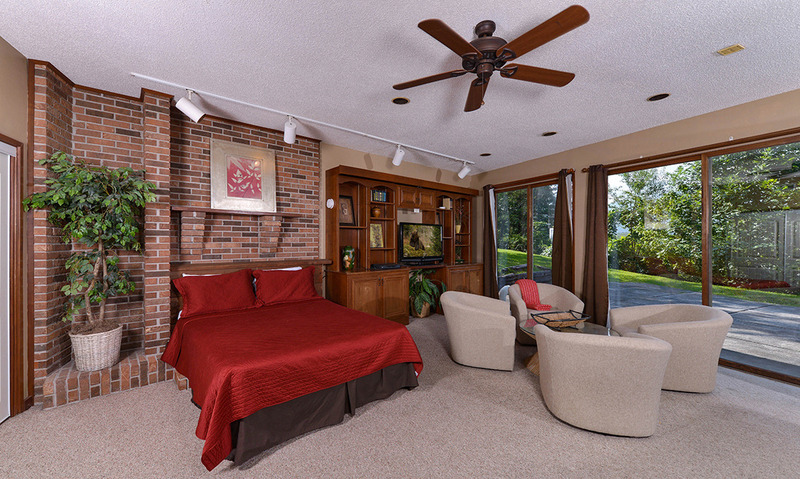 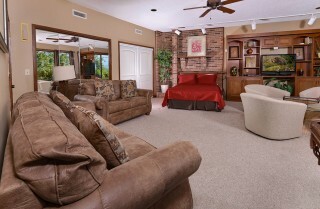 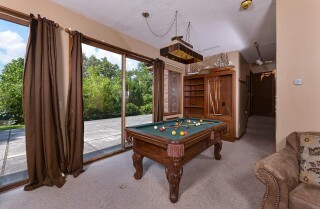 The kids will love having their own sleepover in the downstairs rec room where 2 sleeper sofas and 1 queen bed reside. Bring your bridal party for a relaxing getaway before the stress of the big day and toast to the bride’s last days of singleness with award-winning wine from the Smoky Mountain Winery. 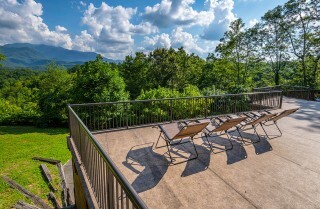 Or vacation without the kids as a group of friends who need some much-needed time to reconnect and bond while cooking together in the fully-loaded kitchen and lounging around in the patio furniture with exquisite mountain views. 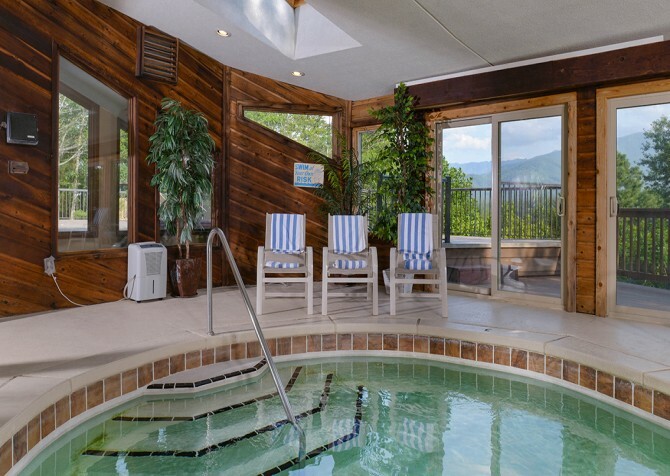 While staying in is always a good time at Panorama Point, you won’t want to pass on hundreds of attractions tucked into nearby Gatlinburg and Pigeon Forge! 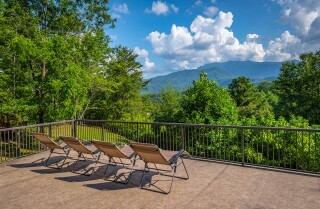 Under 6 miles from the Gateway City to the Mountains, Gatlinburg is a picturesque town filled with mountain-town architecture, delectable eateries, and unique attractions found nowhere else in the world. Experience the extravagant shows and awesome rides of Dollywood in Pigeon Forge, under 10 miles from your cabin’s front door! 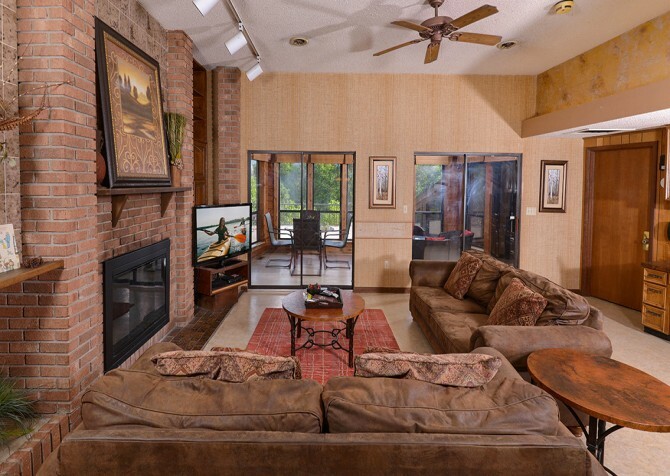 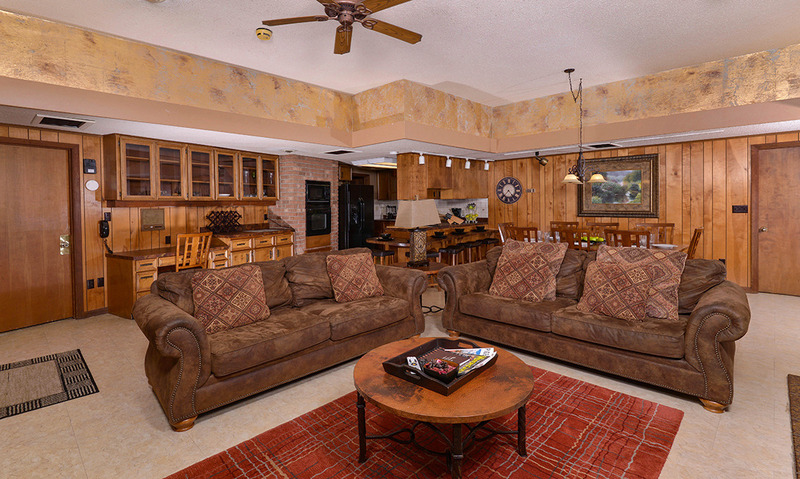 Sink into the cushy suede couches of the spacious living area in the late afternoon to begin planning your daily excursions to downtown Gatlinburg with your fellow guests. 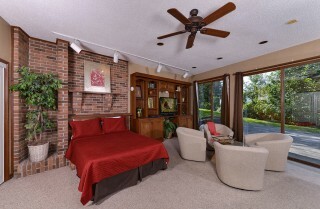 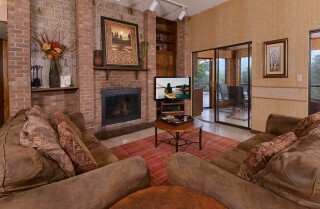 Cozy up with a good book in the late evening to enjoy some quiet time by the warm flames of the large brick fireplace. 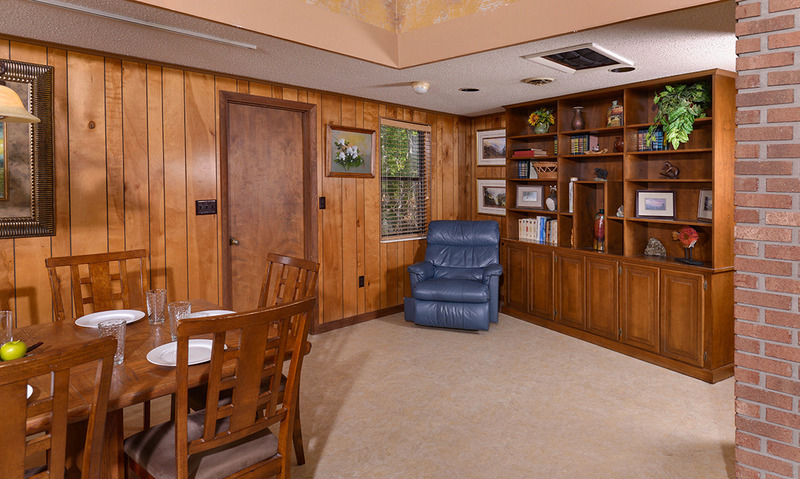 In between meals in the cabin and Dolly Parton's Stampede, enjoy your favorite movie (with DVD player) on the flatscreen TV while the soft afternoon sun flows in from the adjacent sunroom. Whether you’ve spent the day hiking in the Great Smoky Mountains National Park, ziplining through the trees, or strolling along the Parkway, you’ll be happy to come back to this relaxing space to watch TV, kick up your feet, and cozy up in front of the fire. It’s also open to the kitchen and dining area, making it easy to grab snacks or a drink without missing out. Open the cabinets of your quaint cabin kitchen to conveniently find all the cookware you need for a delicious cabin-made dinner using a recipe from home. 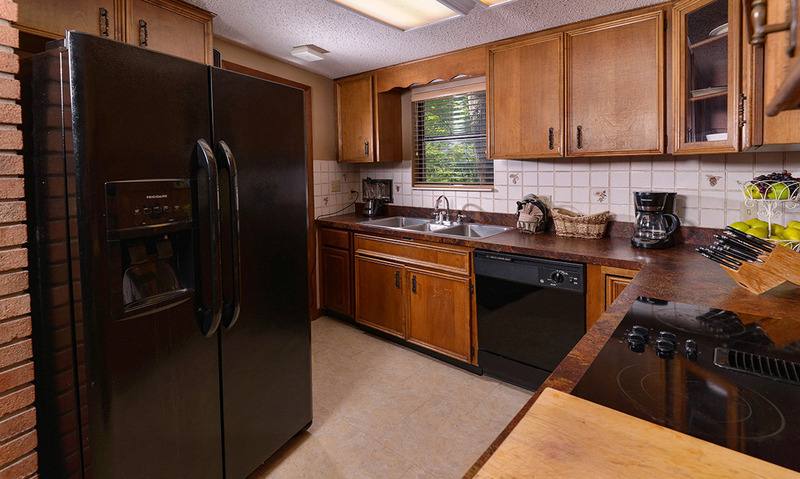 Grab all your ingredients from the grocer stored in the black refrigerator to set on the spacious cutting board next to the flat-top oven in the early afternoon as you begin preparing. Use the long, spacious kitchen bar to set out a dinner buffet for guests or have snacks always ready for the grabbing. 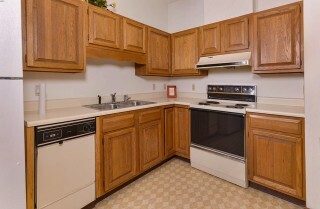 Store leftovers from your cooking or meals out in Gatlinburg in the refrigerator for quick, convenient snack in the late hours or mid-afternoon the next day. 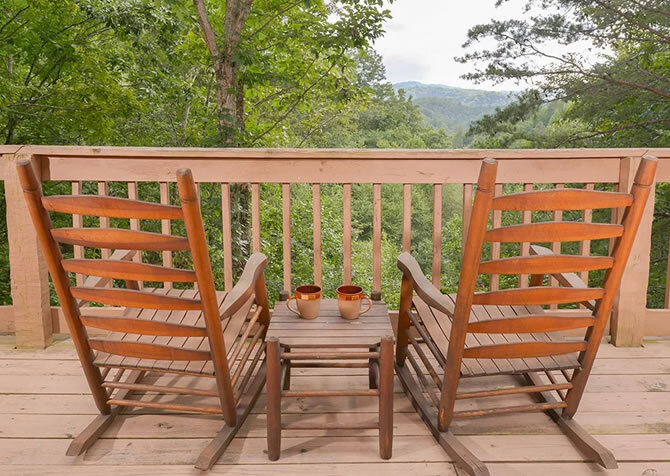 No need to leave the cabin for your coffee fix; brew your own pot in the kitchen before heading to the patio to enjoy the morning mountain air. Toast to good friends and good memories around the large 8-chair wooden dining set before digging into dinner. 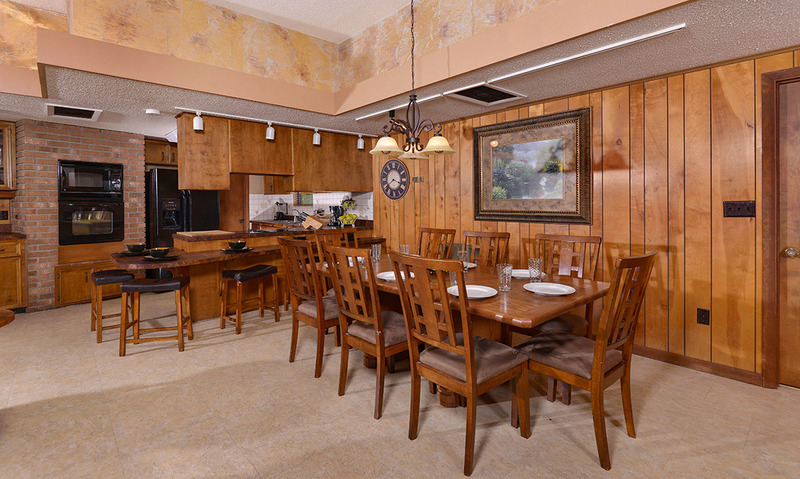 Laugh and reminisce after dinner on the most hilarious and scary moments during Ripley’s Haunted Adventure under the soft light of the chandelier. Let the kids eat and bond with extra seating away from the adult table at the sleek, modern kitchen bar. 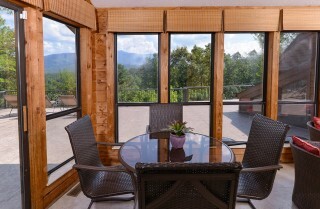 Or gather for a hearty pancake breakfast to prepare for the day of exploring nature in the Great Smoky Mountains National Park. Slowly pull back the covers of your king-size bed in the mornings and relish in some of the best sleep you’ve had in a while in these large, cozy beds. 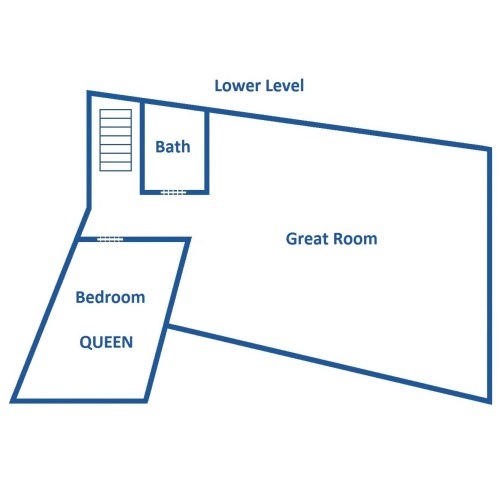 Guests in the entry-level bedrooms are afforded direct bathroom access while the lower level bathroom is just steps outside the bedroom. After a restful night’s sleep, draw the curtains to let the soft morning light help you awaken for your exciting day in downtown Pigeon Forge. Thanks to the overhead fans and warm bedding, you and other guests will be rejuvenated by the comfort and homey atmosphere of your bedrooms. Slip into the soothing waters of the indoor jetted tub of the master suite’s bathroom after a long day of shopping before calling it a night! Need some extra sleeping space? 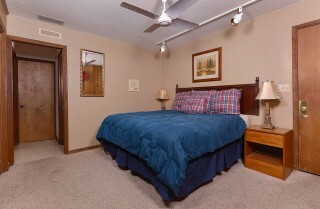 Panorama Point also has a queen-size bed and 2 sleeper sofas. 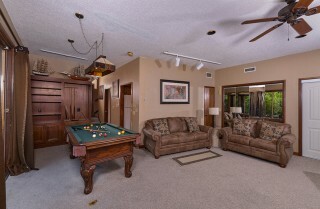 Gather in the afternoon for some rainy-day fun or just to burn some downtime in the spacious game room. 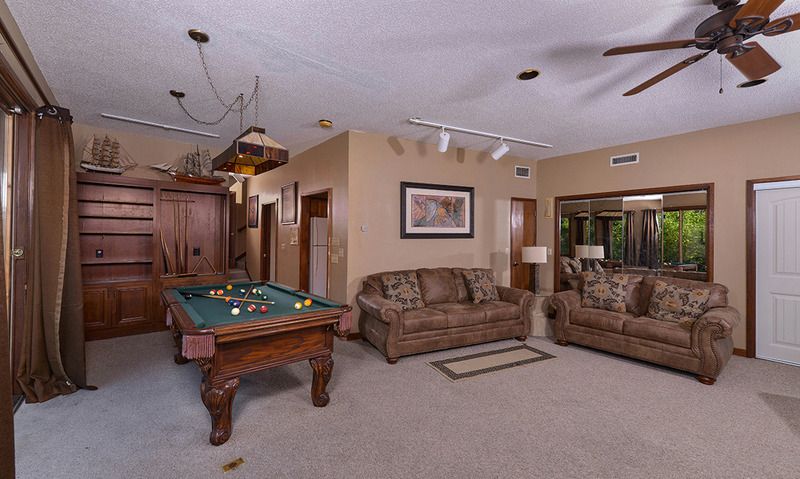 Kick back on the suede sofas and watch TV on a lazy day or shoot some pool in the ample afternoon light flowing in from the sliding glass doors while other guests lounge on the plush suede couches. 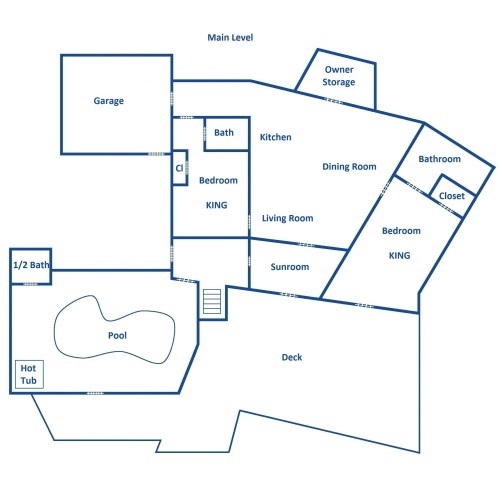 Use the floor space to play active games for laugh-filled memory making into the late hours of the night. Refresh mixed drinks and beers in the nearby second kitchen on the lower level without having to take trips up and down the stairs. Or just gather around the table with 4 club chairs to chat and relax. 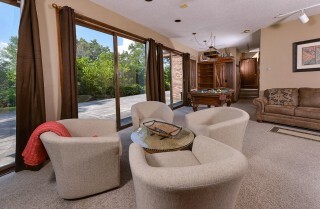 Bring your breakfast to enjoy the early morning light of the sunroom just beyond the living room. Flip through a magazine or listen to your favorite podcast on your phone while you sip on your morning tea or coffee with the mountains resting beyond the large windows. Use the table for board games or card games in the mid-afternoon while you wait for other guests to primp for the next dinner outing. Grab a glass from the wet bar cabinet and pour glasses of wine before settling in around one of the 2 tables for some late afternoon fellowship with other guests. Day or night, it’s a scenic and relaxing place to soak up the serenity of the Great Smoky Mountains – without worry of weather. 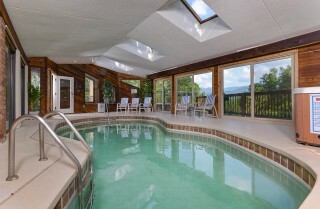 Take a dip any time of year in the awesome indoor pool - kept at 85 degrees - on the entry level of Panorama Point! 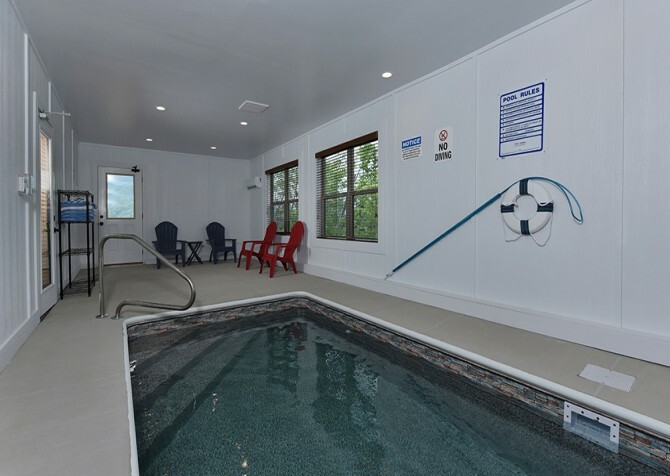 Kids easily stay entertained as they splash and play in the pool while the adults enjoy relaxing times in the nearby hot tub. 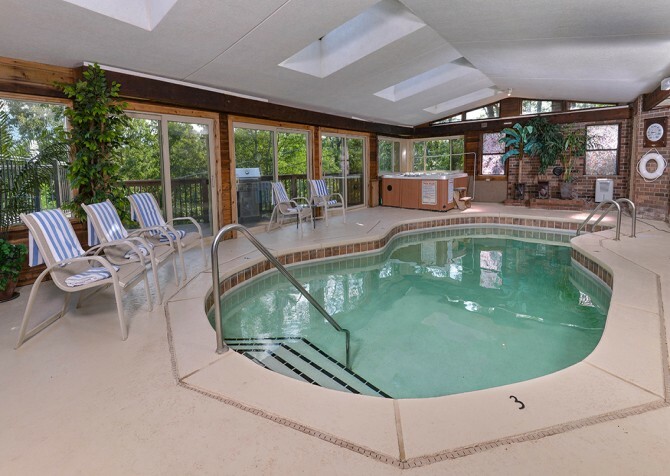 Take a few swimming laps to get your morning workout in before eating all those big, delicious meals in Pigeon Forge and Gatlinburg. After long days of walking around the Tanger Outlets in Sevierville, slip into the warm bubbling waters of the hot tub to soothe tired feet and leg muscles. Sit around the edge of the pool to dip your feet in the dreamy afternoon sun drifting in from the skylight windows above. 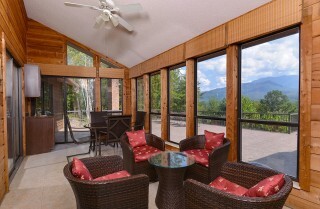 The expansive deck of Panorama Point boasts incredible mountain views just beyond tree line. Lean back in the patio chairs with friends to soak in views while you laugh and catch up on lost time. 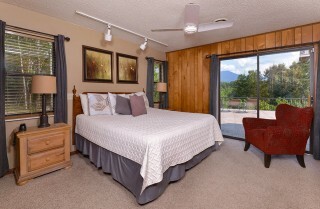 Finish that book while occasionally glancing up to the soft white clouds crawling over the mountains in the distance. 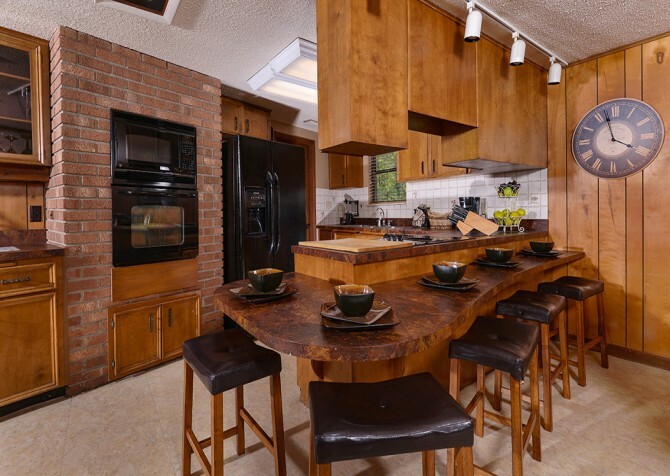 Bring the steaks and vegetables you picked up from the grocery store outside to cook up a delicious meal on the gas grill. 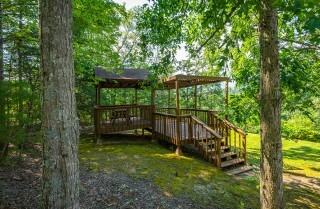 Or take your sandwiches, chips, and drinks to the outdoor gazebo table for a pleasant picnic meal in the cool of the afternoon shade. 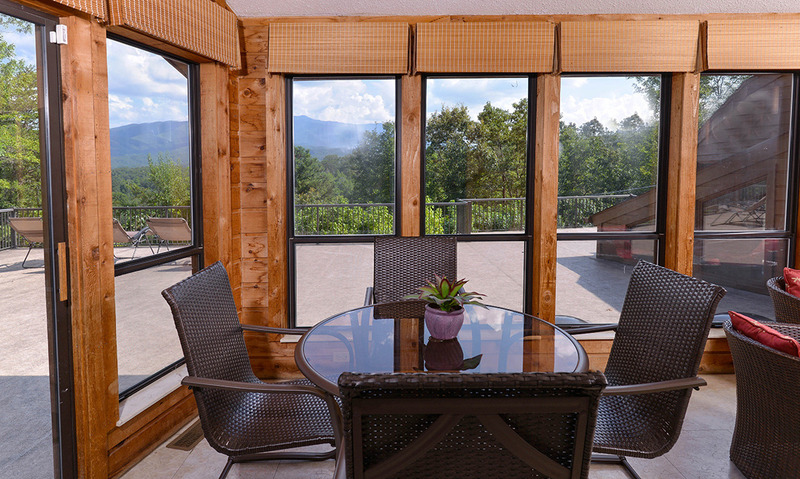 Gatlinburg’s oldest and most renowned winery, open daily, offers free tastings of their numerous award-winning wines. 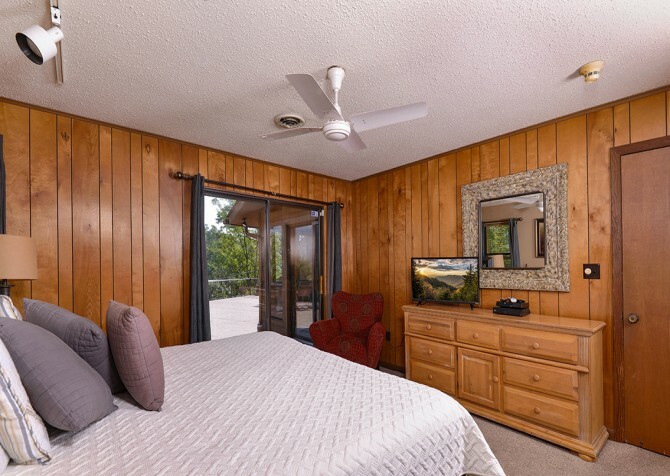 After your free tour, visit the large gift shop to find the best souvenir glasses to complement your bottle of wine only available for purchase on location. Over 10,000 square feet of every horror and thing that goes bump in the night is sure to give the scare of a lifetime in Ripley’s Haunted Adventure in downtown Gatlinburg! Hold on tight to friends and family to be sure you don’t lose anyone to the frights of this nightmare come to life. 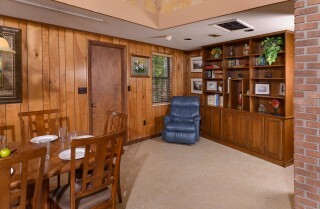 This haunted house is not for the faint of heart! 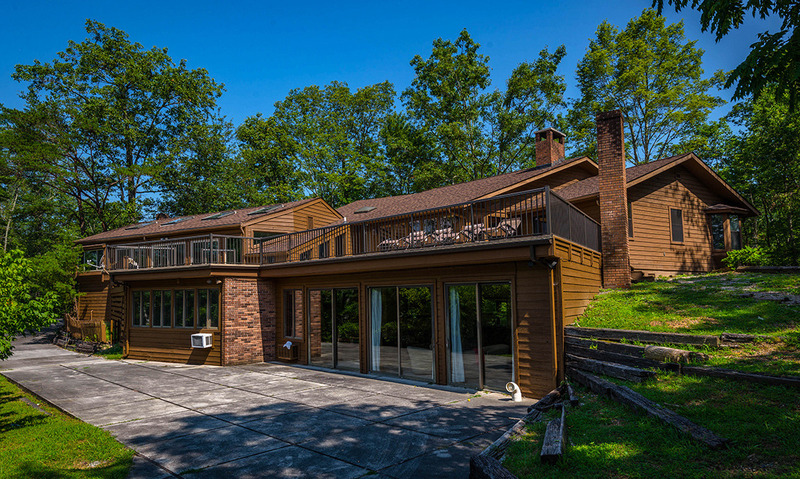 Travel back in time to this 19-century theater where the extravagant production will awe you from the opening to the closing of the thick red stage curtains. With a variety of shows, you will want to revisit for each unique performance. A staple of the Gatlinburg community, this theatrical landmark is an inspiring, impressive attraction with a lot of personality from building to casts. "Our group had a great time here! 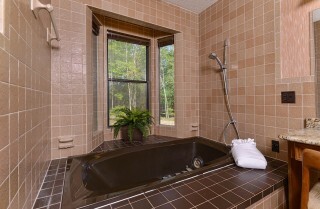 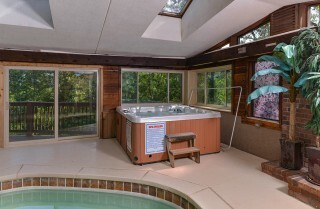 The highlight of the cabin is the indoor pool and the hot tub. 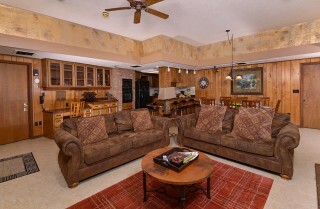 Loved every minute there!"